Will it ever be an option? I know it would be a lot of work (especially at this stage), but I think it would be a good idea. I'm talking about in OpenGL of course. We might already be doing that. OpenGL uses driver level AA implementations and I'm not sure that OGSSAA is even supported under openGL by nvidia or AMD. What is rg/sgssaa? Neither me, nor google, nor wikipedia know. So it's just another configuration for the common multisampling. Shouldn't be much work, but imo useless. It may looks different, but it wouldn't look that much better. If we want to get better AA support, we should start at other places like better resolving or to screen blit. This would be a much bigger improvment than lots of different MSAA settings. The OP is referring to SSAA not MSAA. More specifically the SSAA option in dolphins openGL backend. MSAA uses whatever the driver implementation is. Which on modern cards is already RG/SG. Also you're terrible at googling. (09-25-2013, 10:53 AM)degasus Wrote: So it's just another configuration for the common multisampling. Shouldn't be much work, but imo useless. It may looks different, but it wouldn't look that much better. OH man you don't even know. SG/RG SSAA is AMAZING. It's extremely useful. So useful that there are dedicated threads on forums with thousands of posts finding flags for SGSSAA with games. How exactly are you measuring the amount of aliasing? As far as I know there is no known way so you have to be pulling these numbers out of thin air. And are you referring to total aliasing or just visible aliasing? Specular aliasing is a form of shader aliasing and temporal aliasing simply refers to motion judder. Which SSAA has absolutely no effect on. Only adding motion blur and/or increasing the framerate can reduce temporal aliasing. In addition to that OGSSAA and RGSSAA effect the exact same forms of aliasing as SGSSAA. The only difference is the sampling pattern. They have no inherent disadvantage against SGSSAA in this area. The main reason SGSSAA is so popular is because you can easily get it working on so many games. OGSSAA (nvidia) and RGSSAA (AMD) by comparison work on a much smaller number of games. The quality difference between them though is negligible and depends more on the game engines design than the AA algorithm itself. That's not temporal aliasing. "Pixel crawl" is caused by geometric aliasing and "texture shimmering/moire" is caused by texture aliasing. No it's not. Many threads are loaded with screenshots that show the differences very clearly. The effect on shader aliasing is particularly noticeable even in static form. You should probably do more research before trying to explain to a dev the importance of a field of algorithms as complicated as SSAA. There is no "official" definition for many of these items. Temporal may mean silly things like Motion Blur to reduce aliasing to you. But to those of us who've spent hundreds to thousands of hours working on reducing any and all aliasing in every game available they have a different meaning. To be temporally stable is to have a believable coherent image that doesn't suffer the artifacts inherent to the medium and method which they are created. One is "Time" And in the definition of temporally stable AA, over time in movement there is Little to absolutely no Aliasing. http://www.cg.tuwien.ac.at/research/publications/2010/mattausch-2010-tao/ regarding Temporally Stable SSAO. And the foundations and idea behind the approach is much the same. A lot of modern games have a poor implementation of SSAO (Bionic Commando 2009,Alien Breed,Afterfall Insanity,Binary Domain for example that I can think of off the top of my head) that is temporally unstable. I've seen so called "Developers" refer to the same and similar issues by a million different terms. So, no that does not make your one opinion "Absolute". SGSSAA, DOES infact reduce pixel crawl. SGSSAA DOES Infact reduce shimmering(Which can result from MORE than just geometry edges.). SGSSAA DOES infact reduce MOIRE. SGSSAA DOES infact reduce specular aliasing (And resulting shimmering/pixel crawl that so often HAPPENS because of said specular aliasing). SGSSAA DOES Infact reduce basically ALL Geometric Aliasing. SGSSAA does infact reduce just about ALL aliasing. Presents a temporally and believably coherent image that has next to 0 artifacts in motion and in stills. And how well it does each of those things depends on the individual title. You'd do well to study and figure out what makes Nvidia SGSSAA work. Because it WOULD benefit just about ANY 3D rendered game. Much more so than simple SSAA patterns like OGSSAA. And if you actually watched the video I posted, you can plainly see with your eyeballs that SGSSAA destroys almost all aliasing of every kind. And that's using a game as an example that is one of the few which SGSSAA doesn't get all Aliasing visible to the eye. Actually, the OpenGL anti-aliasing is pretty good for edges, but SGSSAA just looks better. 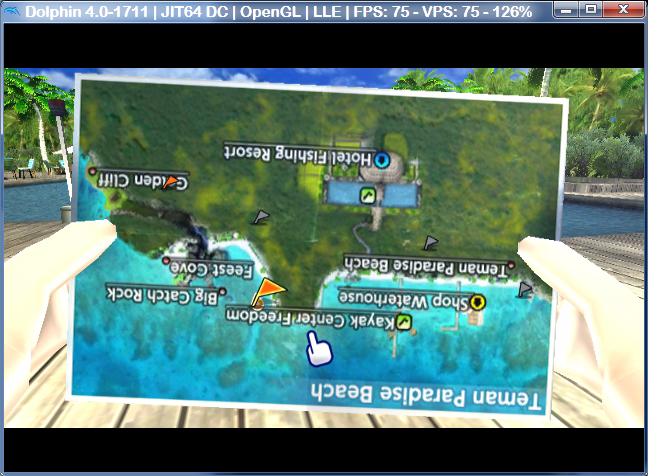 The DX11 AA isn't as good as current OpenGL AA, but SGSSAA as an option in OpenGL would be even better.